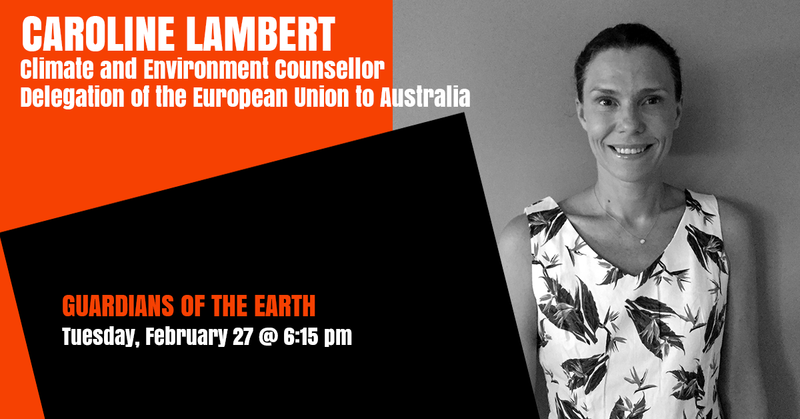 Since March 2015, Caroline Lambert is the European Union’s Climate and Environment Counsellor in Australia. Before being posted to Australia, Caroline worked for five years in the private office of the European Commissioner for Climate Action, Connie Hedegaard, where she advised on financial, trade and taxation matters and adaptation policy. Between 2007 and 2010, Caroline advised Margot Wallström, Vice President of the European Commission in charge of Communication and Interinstitutional Relations. Caroline entered the European Union’s civil service in 2000 and initially worked in the Energy, Transport and Budget Departments. Early in her career, Caroline did strategic communications and public affairs work in the energy and environment sector for European businesses and commodities. She holds a post-graduate diploma in Political Sciences from the College of Europe (Bruges, Belgium) where she was awarded first prize of the year. She has a MA with highest honors in International Relations, Economics and Law from Sciences Po Paris (France) and graduated in International Economics from Paris X University(France).